The Geneva-born Maison didn't simply emerge as a household name overnight. Founded in 1851, Patek Philippe & Co. champions several rules of conduct, which led to its becoming one of the most coveted watch brands worldwide. A tête-à-tête with Thierry Stern, fourth generation president of Patek Philippe, helped us become au fait with Patek Philippe’s said philosophies. Thierry stern, fourth generation president of Patek Philippe. Only serious collectors and enthusiasts are considered for a Patek Philippe. The acquisition of a Patek Philippe timepiece isn’t an ‘over the counter’ process, so to speak. A customer may have the cash in his pocket but must also possess patience. The Nautilus, for instance, necessitates a two-year wait period! Patek Philippe’s personel will converse with prospective buyers to ensure they truly have their hearts set on the timepieces. “I have to make sure they are really interested and not someone who will buy a timepiece today and perhaps sell it tomorrow. This is my biggest concern,” confessed Thierry Stern, shedding light on the problematic issue of fraudulent buyers. Patek Philippe’s timepieces are built to last several lifetimes. 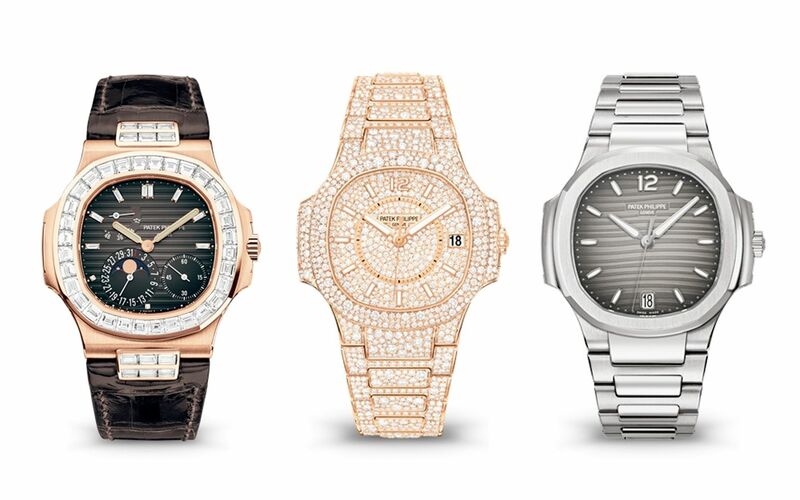 We’ve all heard the catchphrase: “You never actually own a Patek Philippe. You merely look after it for the next generation.” Coined in 1997, the successful slogan isn’t merely a sales pitch, but the result of thorough research conducted by a UK-based agency. Specialists hand-finish every single component of a Patek Philippe watch. Watch enthusiasts will know that not every watchmaker uses proprietary movements and materials, instead purchasing their parts from independent manufacturers. Patek Philippe remains one of the handful that produces in-house movements, which gives them complete reign over the finishing of every part. “I’ll give you an example,” said Stern. “In order to fabricate one wheel, most manufacturers in the industry take 14 different steps. At Patek we have forty, and they’re all necessary because the parts need to be perfect. Patek Philippe will not give you the hard sell. Picture the personification of Patek Philippe: the polished gentleman who has garnered the respect and reverence of all. Likewise, Geneva’s oldest family-owned watch manufacturer is built on reputation and class.